All new high end phones posses "Google Gesture Search", an application that allows users to draw alphabetical letters to finds contacts, music, apps among others within your Android phone. But now developers have come up with an application "Trigger", that can be installed in any android phone and be controlled via pre-designed gestures as well as user-defined gestures. 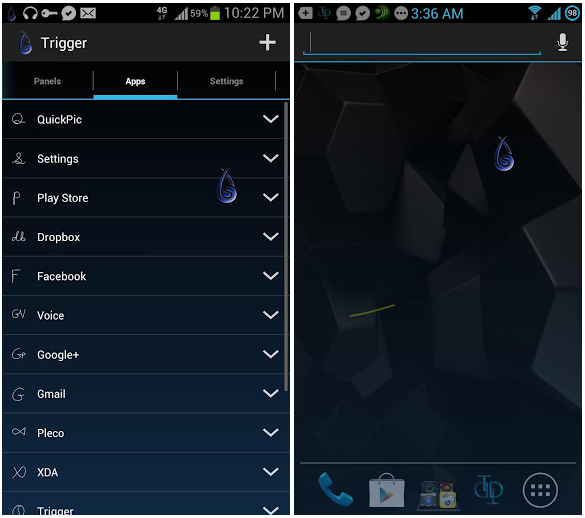 Trigger is very user-friendly with it’s extensive customization options, allowing users to launch applications and shortcuts, toggle settings such as WiFi on/off, panels with various functions, and various other miscellaneous actions such as send emails and simulate the actions of the home button. 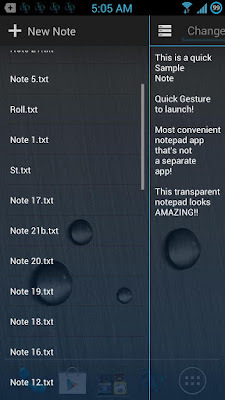 Trigger has two gesture-based modes, the first being drawing a gesture upon pressing a floating widget (called the trigger), and the second being swiping the floating widget up, down, left or right to trigger user define actions. 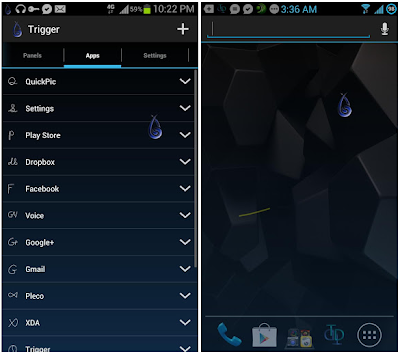 Trigger also has a feature where you shake your device to make the trigger appear and disappear. The recent update, contains 2 new panels: a notepad and clipboard, which both slide out once gestured for. 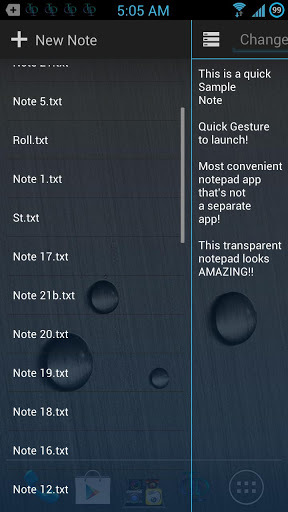 This wonderful application is available to anyone using Android 2.3 and newer, Trigger can be downloaded from the Google Play Store.